Favorite Moment: Wireless microphones for the ceremony were critical! Loved the wedding party intros! 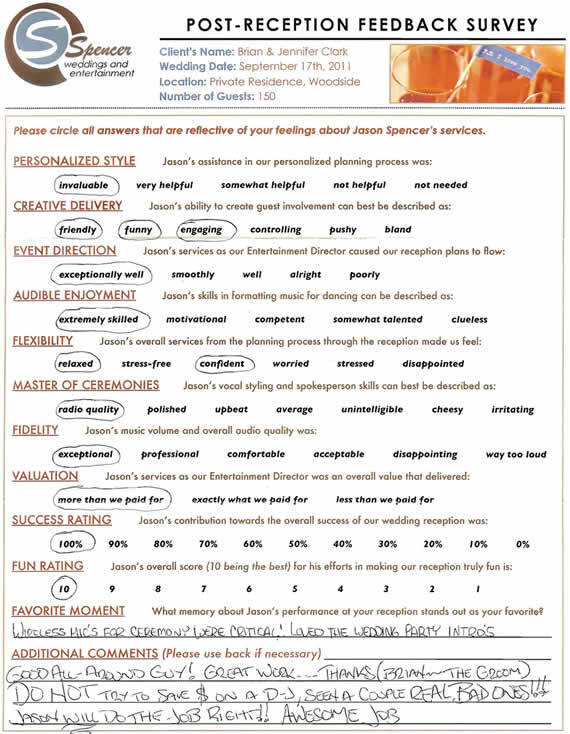 Additional Comments: Good all-around guy! Great work…Thanks! (from Brian the Groom) Do not try to save money on a DJ. Seen a couple of real bad ones!! Jason will do the job right!! Awesome Job! I often get texts from my couples, sometimes for last minute surprises. 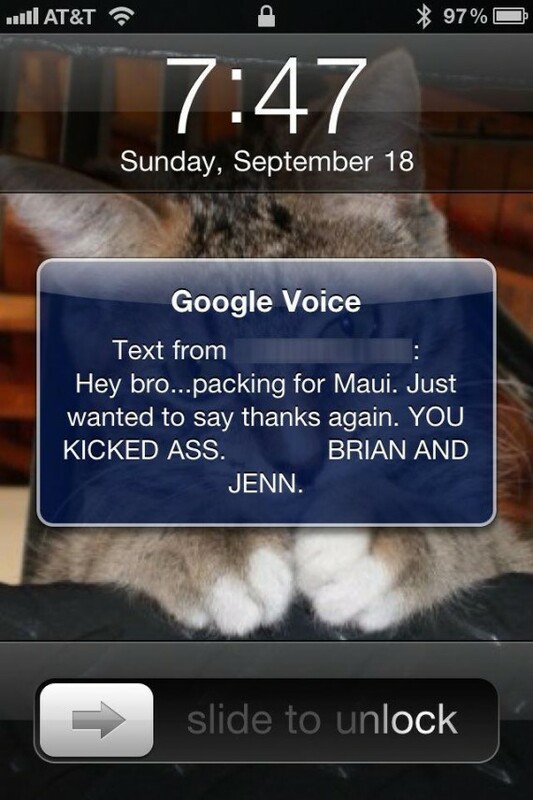 This is one of those rare instances when the party was so much fun, that Brian and Jenn decided to text me while packing for their honeymoon trip the next day. I love it!